A trained mental health professional is at the facility 24/7 to monitor residents, ensure safety, provide necessary transportation and offer medication management. Residents at Hiawatha Bluff Living are required to participate in Adult Mental Health Rehabilitative Services (ARMHS) and Adult Case Management offered on site. In addition, residents are encouraged to attend group sessions, which allows them to learn more about each other and form a community within Hiawatha Bluffs Living. 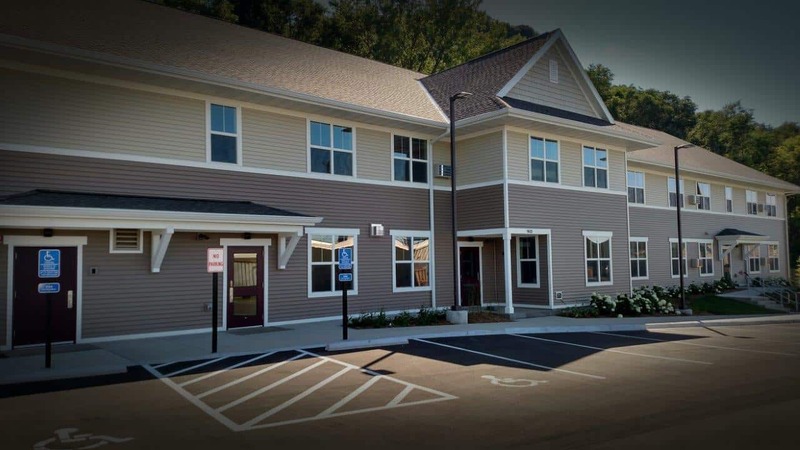 Funding for residents to stay at Hiawatha Bluffs Living is available however; residents are expected to pay a portion of their apartment rent. Funding must be approved from a county financial responsibility (CFR) to receiving Housing Funding. Do you have space for families? Is there a waitlist for an apartment at Hiawatha Bluffs Living? The demand for apartments at Hiawatha Bluffs Living is steady. To check for availability, please reach out to a Hiawatha Bluffs Living Coordinator (507) 474-1433. Do I have to take part in Adult Rehabilitative Mental Health Services and Case Management at Hiawatha Bluffs Living? Yes, this is a requirement to living in the facility. You will be assigned an Adult Rehabilitative Mental Health Services practitioner and case manager that is housed within the facility. How long can I stay at Hiawatha Bluffs Living? As long as you are engaged in the services provided and continue to meet the criteria of those services, you can stay as long as you would like.